On tonight’s Big Picture, Thom discusses Scott Pruitt’s confirmation to head the EPA and what it means for environmental protections in the United States with Naomi Ages of Greenpeace. Then, Thom talks to Scott Greer of the Daily Caller and political strategist Sam Bennett about Trump’s bizarre press conference and interaction with the media, and a House vote paving the way to defund Planned Parenthood. Populations of this once-common iconic black and orange butterfly have plummeted by approximately 90 percent in just the last two decades. 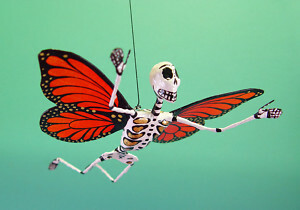 The threats to the species are the loss of habitat in the U.S.—both the lack of availability of milkweed, the only host food plant for monarch caterpillars, as well as nectar plants needed by adults–through land conversion of habitat for agriculture, removal of native plants and the use of pesticides and loss of habitat in Mexico from illegal logging around the monarchs' overwintering habitat. The new population numbers underscore the need to continue conservation measures to reverse this trend. The cities also allege that Monsanto knew for decades that PCBs were dangerous but continued to sell them anyway. As stated in U.S. District Judge Edward J. Davila's Feb. 3 order, an internal Monsanto report identified PCBs as "nearly global environmental contaminants" but urged "a number of actions which must be undertaken to prolong the manufacture, sale and use of these particular Aroclors," which was the trade name of commercial PCB mixtures. Furthermore, an internal memo declared that despite the hazards of PCBs, Monsanto "can't afford to lose one dollar of business." Stuttgart had run out of options to cut nitrogen dioxide pollution, a poison that makes people ill and even kills them, writes Jan Heidtmann in a commentary for Süddeutsche Zeitung. He argues the state government also wants to put pressure on federal transport minister Alexander Dobrindt, from CDU sister party CSU, who resists federal regulation to introduce driving bans using a “blue badge” to label cleaner cars. Heidtmann argues this is why it’s partly the minister’s fault that nitrogen dioxide levels now exceed legal limits in almost 80 German cities, including Berlin and Munich. 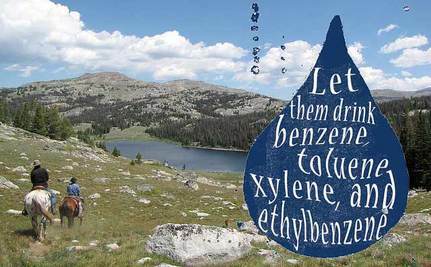 Fracking Spills - More Than You think! But a key takeaway of the study seems to be that fracking and horizontal drilling have enabled oil and gas development to encroach more and more into places where people live (something the city of Greeley, Colorado, is grappling with firsthand) and as the researchers noted, "This has the potential to expose a large population to oil and gas development related pollutants." 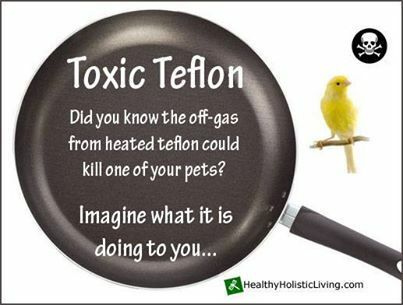 Sharon Kelly, Earth Island Journal: C-8, also known as perfluorooctanoic acid or PFOA, is a soap-like powder that DuPont used for decades at its Washington Works plant in Parkersburg, West Virginia, to smooth lumps in freshly made Teflon. It is has caused cancers, pregnancy complications and chronic health conditions like thyroid disease. Finally, those harmed by C-8 have won some restitution. The order, called "Enforcing the Regulatory Reform Agenda," directs each government agency to create a task force to evaluate existing federal regulations and recommend whether they should be kept, repealed or modified. A White House official told POLITICO that the task forces will "focus on eliminating costly and unnecessary regulations." The new order also directs agency heads to appoint "regulatory reform officers" to ensure that agencies are carrying out the president's other executive orders, such as his recent 2-for-1 rule that requires federal agencies to repeal two old regulations for every new one. "Excessive regulation is killing jobs," Trump said during the signing ceremony. "Every regulation should have to pass a simple test: Does it make life better or safer for American workers or consumers? If the answer is no, we will be getting rid of it." "We will stop punishing companies for doing business in the United States," Trump added. "It's going to be absolutely just the opposite. They will be incentivized to doing business." Dow Chemical Co. chairman and CEO Andrew Liveris, who leads Trump's advisory council on manufacturing and received the presidential signing pen. Just yesterday, Liveris praised the Trump administration for being "the most pro-business administration since the Founding Fathers." Environmental groups have criticized Trump's latest executive order, saying that it is crafted to help the country's biggest polluters. "The Trump administration wants less government, except when it wants more to carry out its oil and gas industry agenda ," Greenpeace spokesperson Travis Nichols said in a statement. "This executive order will put Trump's unvetted corporate minions above experts at our federal agencies in charge of protecting our water, our land and our climate." "We can only hope that the resistance inside these agencies will be strong enough to stop these destructive Trump toadies from dismantling protections for the American people," Nichols continued. "This administration and its deluded enforcers will never understand what it feels like to worry about the water their families are drinking, the food their families are eating or if their houses will survive the next superstorm. It's up to all of us outside the billionaire bubble to resist the ways in which the Trump administration is destroying this country." Tiernan Sittenfeld of the League of Conservation Voters had similar sentiments. 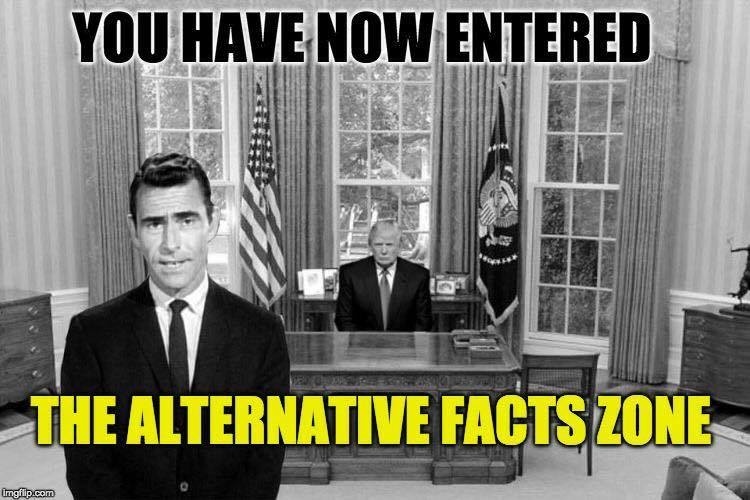 "President Trump is rigging the system so corporate lobbyists can lower standards that protect the public health and safety of all people in this country," Sittenfeld told NPR . "These task forces will attempt to roll back common-sense protections for the air we breathe, the water we drink and the lands we cherish." Waterkeeper Alliance said that Trump's latest order will only help destroy agencies and regulations that are designed to protect people and the environment. For instance, rules that ensure that tap water does not contain pollutants that cause cancer or brain damage could be on the chopping block. "President Trump's action to slash regulation is more like a pollution prison sentence, subjecting our communities to increased exposure to polluted water, toxins, disease and economic burden for generations to come. There is no justification for this type of brazen policy that only benefits the richest and most powerful corporations in the world," said Waterkeeper Alliance Executive Director Marc Yaggi. "Americans and all world citizens want and deserve clean water and clean air. President Trump will face massive resistance to this misguided executive order." The Waterkeeper Alliance pointed out that the assumption that regulations have a negative impact on job creation is false. "The reality is that only two-tenths of one percent of layoffs are caused by all governmental regulations, including environmental ones," the organization said. "Earlier this month, job loss was cited as a major reason for overturning the Stream Protection Rule despite the fact that the Congressional Research Service found the rule would have created as many jobs as it eliminated. If implemented, the Stream Protection Rule would have protected an estimated 6,000 miles of streams over the next two decades from the devastating effects of mountaintop removal coal mining." Earlier at the Conservative Political Action Conference in Maryland on Friday, Trump promised to slash 75 percent of regulations all while claiming he wanted to "protect our environment." "We're going to put the regulation industry out of work and out of business. And by the way, I want regulation. I want to protect our environment. I want regulations for safety," Trump said, according to CNBC. "I want all of the regulations that we need and I want them to be so strong and so tough. But we don't need 75 percent of the repetitive, horrible regulations that hurt companies, hurt jobs." But Trump's first month in the White House has been a nightmare for environmentalists and the planet alike. He has appointed a cabinet full of polluters with ties to the fossil fuel industry, and signed executive orders to push through the Keystone XL and Dakota Access Pipeline and nullify Obama-era climate policies such as the Stream Protection Rule. And as Scott Faber, Environmental Working Group's senior vice president for government affairs, put it, "President Trump is engineering the most hostile assault on public health, and mark my words, his administration's planned destruction of many rules will put the health of millions of hard-working Americans and their families in jeopardy." Incidentally, it emerged Friday morning that his daughter, Ivanka Trump and Jared Kushner pushed the president to exclude language that criticized the Paris agreement from an upcoming executive order, the Wall Street Journal reported. 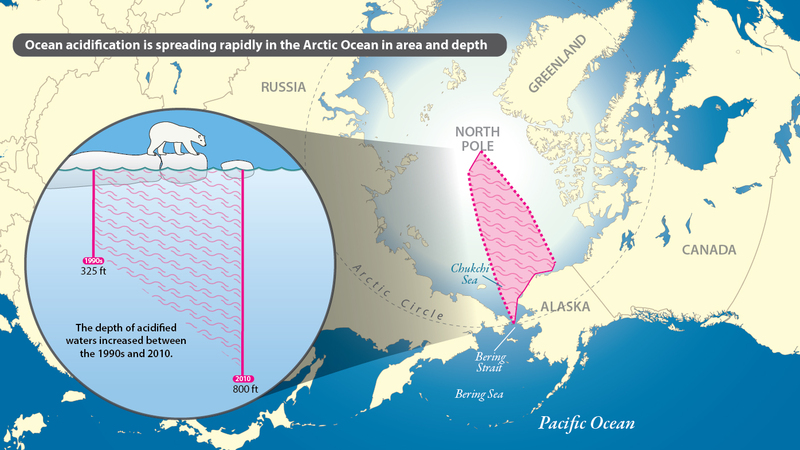 The research shows that, between the 1990s and 2010, acidified waters expanded northward approximately 300 nautical miles from the Chukchi slope off the coast of northwestern Alaska to just below the North Pole. Also, the depth of acidified waters was found to have increased, from approximately 325 feet to over 800 feet (or from 100 to 250 meters). "The Arctic Ocean is the first ocean where we see such a rapid and large-scale increase in acidification, at least twice as fast as that observed in the Pacific or Atlantic oceans," said Cai, the U.S. lead principal investigator on the project and Mary A.S. Lighthipe Professor of Earth, Ocean, and Environment at UD. "The rapid spread of ocean acidification in the western Arctic has implications for marine life, particularly clams, mussels and tiny sea snails that may have difficulty building or maintaining their shells in increasingly acidified waters," said Richard Feely, NOAA senior scientist and a co-author of the research. Sea snails called pteropods are part of the Arctic food web and important to the diet of salmon and herring. Their decline could affect the larger marine ecosystem. Other collaborators on the international project include Liqi Chen, the Chinese lead principal investigator and scientist with the Third Institute of Oceanography of State Oceanic Administration of China; and scientists at Xiamen University, China and the University of Gothenburg, Sweden, among other institutions. 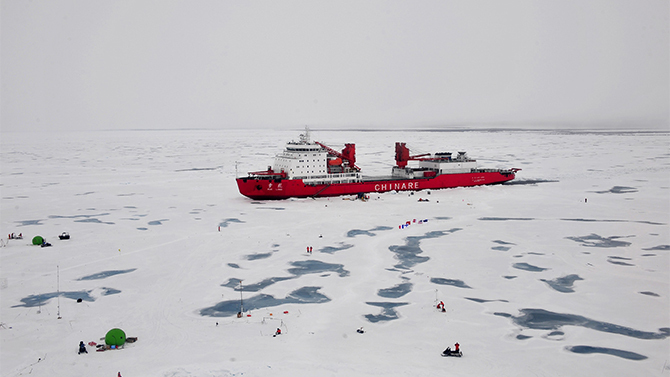 The researchers studied water samples taken during cruises by Chinese ice breaker XueLong (meaning "snow dragon") in summer 2008 and 2010 from the upper ocean of the Arctic's marginal seas to the basins as far north as 88 degrees latitude, just below the North Pole, as well as data from three other cruises. Scientists measured dissolved inorganic carbon and alkalinity which allows them to calculate pH and the saturation state for aragonite, a carbonate mineral that marine organisms need to build their shells. Data collected by ship and model simulations suggest that increased Pacific Winter Water (PWW), driven by circulation patterns and retreating sea ice in the summer season, is primarily responsible for this OA expansion, according to Di Qi, the paper's lead author and a doctoral student of Chen. "This work will help increase our understanding of climate change, carbon cycling, and ocean acidification in the Arctic, particularly as it affects marine and fishery science and technology," said Chen. PWW comes from the Pacific Ocean through the Bering Strait and shelf of the Chukchi Sea and into the Arctic basin. In recent years, melting sea ice has allowed more of the Pacific water to flow through the Bering Strait into the Arctic Ocean. 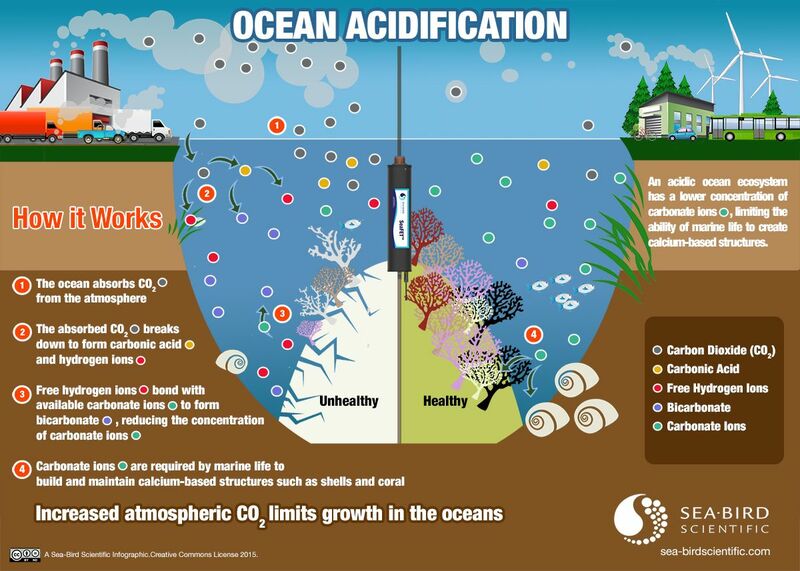 Pacific Ocean water is already high in carbon dioxide and has higher acidity. As the ocean mass moves north, it absorbs additional carbon dioxide from decomposing organic matter in the water and sediments, increasing acidity. The melting and retreating of Arctic sea ice in the summer months also has allowed PWW to move further north than in the past when currents pushed it westward toward the Canadian archipelago. Arctic ocean ice melt in the summer, once found only in shallow waters of depths less than 650 feet or 200 meters, now spreads further into the Arctic Ocean. "It's like a melting pond floating on the Arctic Ocean. It's a thin water mass that exchanges carbon dioxide rapidly with the atmosphere above, causing carbon dioxide and acidity to increase in the meltwater on top of the seawater," said Cai. "When the ice forms in winter, acidified waters below the ice become dense and sink down into the water column, spreading into deeper waters." Agelbert NOTE: Yep, this ship rigged to pollute (built in 2014! ) is named "Green Sky". 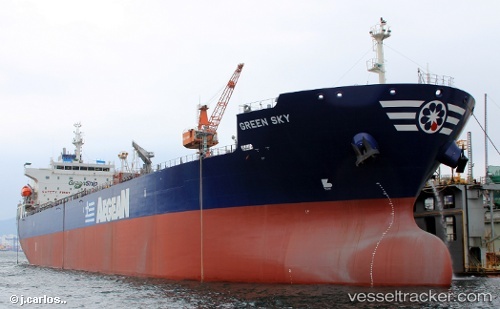 Evidence presented to the jury showed that the Green Sky was regularly pumping this contaminated and oily water directly overboard, while failing to disclose the discharges on the vessel’s oil record book as required. The illegal overboard discharges were falsified from February to August 2015. 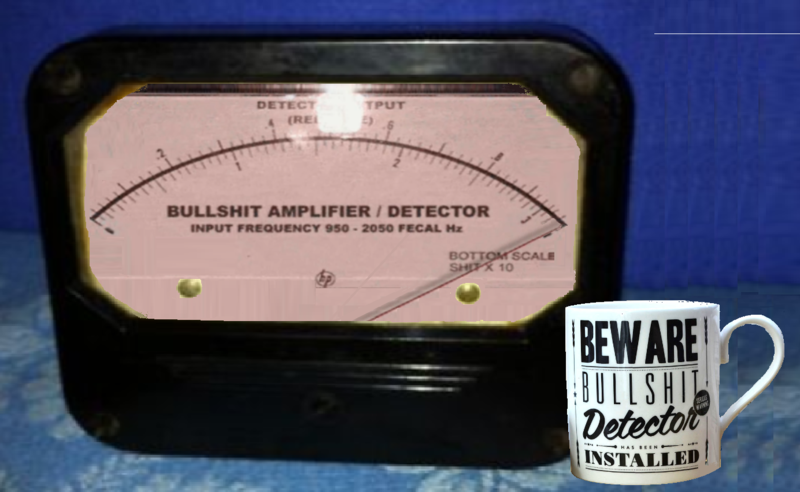 “Methods of falsification included omitting illegal bypass operations, claiming that the oil water separator was used when it had not been, and a series of false entries regarding the levels of the bilge holding tank, which were designed to further the cover-up. While most of these discharges occurred in international waters, evidence at trial revealed that at least two of these discharges were within the Exclusive Economic Zone of the United States during the ship’s voyage from Pascagoula, Mississippi, to Houston, Texas in May 2015,” the Department of Justice said in a statement on Thursday. The evidence presented during the fifteen-day trial demonstrated that the chief engineers covered up illegal overboard discharges that took place through two systems of “magic” hoses and a separate “magic” valve system designed to bypass the ship’s oil water separator. Koutoukakis and Julian falsified the oil record book to hide their illegal discharges. The vessel arrived in Charleston, South Carolina on August 26, 2015, when the false record was presented to the U.S. Coast Guard during an inspection of the vessel. The U.S. Coast Guard was tipped off by three whistleblowers who came forward to report the crimes and ask for protection from U.S. authorities. Agelbert NOTE: As usual, the top dogs who influenced the crew members to do this creative criminal exercise in profit over planet will not be caught, charged, fined or imprisoned. This "magic pipe" trick is the tip of the massive pollution iceberg in the shipping industry. Do you want to guess who the champion polluter ships in the oceans are? If you said, CRUDE OIL Tankers, you win the prize. The foot dragging on regulating them began with Reagan and has continued pretty much until today. And now that Trump is there to make sure the Coast Guard looks the other way when the tankers do their ballast fun and games after discharging the crude, the pollution will be TOTALLY UNREGULATED. That means more of THIS for marine life in and around ports. Hey, remember that time the GOP and climate deniers made a huge stink over an ex-EPA administrator using a private email address? Or all those times deniers sued for climate scientists’ emails? Or the time the GOP made a massive fuss over a presidential candidate’s emails? They, apparently, do not. Because despite explicitly telling the Senate during his confirmation hearing that he never used a personal email account for state business, the Oklahoma attorney’s general office has confirmed that Scott Pruitt... used a personal email account to conduct state business. We eagerly await the months of investigations, hearings and op-eds to discuss this circumvention of transparency laws and abuse of process. Just kidding! Obviously, that’s not going to happen, because as we all know those “concerns” were pretense for pointed political attacks. And those political attacks aren’t slowing down anytime soon. Take, for example, the list of 300 so-called “experts” who called on Trump to pull out of the UNFCCC. John Abraham took a quick look at the signatories, and, surprise surprise, there are not many actual climate scientists on the list. The few who are nominally credible on climate (like Richard Lindzen) are far from consistently correct on the issue. On the other hand, actual scientists across the country are gearing up for the March for Science in DC at the end of April. With major groups like AAAS coming on board, there seems to be a growing acceptance of the fact that scientists are feeling more comfortable speaking up about politics. For those who oppose the effort and claim that it’s a bad idea that will damage the credibility of science, well, science says you’re wrong. A new study found that climate scientists can speak out on social media about recent findings, the risks and impacts of climate change, policy options available, broad actions and specific co2 reduction policies without losing any credibility with a Facebook audience. The only message that resulted in a dip in trustworthiness was a proposal to build more nuclear power. So all you scientists wondering if joining the march is going to cost you, fear not! You’re safe to engage with the public. Just maybe don’t talk about nuclear power! •Repealing the Clean Power Plan would have significant impacts on the United States' economy and the health of its citizens, according to new analysis from Energy Innovation, a clean energy think tank. •Rolling back the carbon rule would lead to $100 billion in extra costs by 2030, rising to $600 billion by 2050, according to the organization's power sector modeling tool. 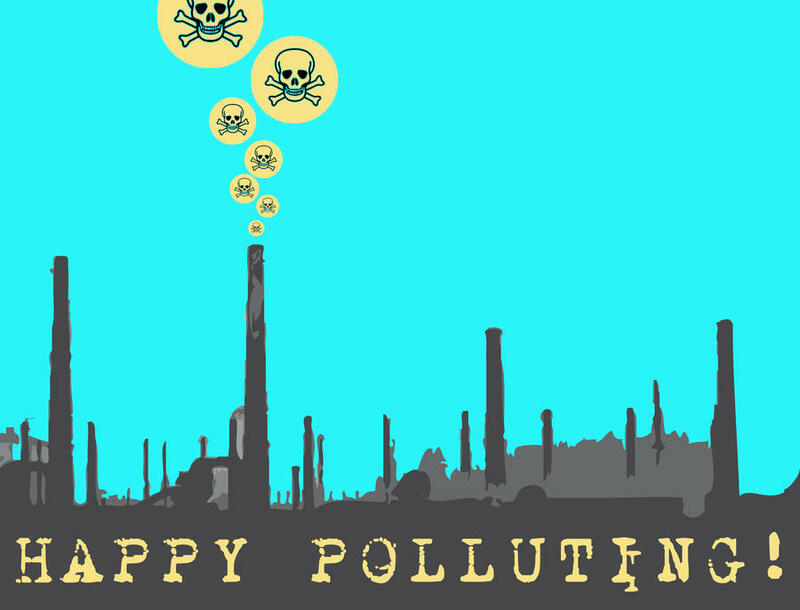 And the resulting impacts to air quality would lead to more than 40,000 premature deaths in 2030, and 120,000 in 2050. •President Trump campaigned on rolling back regulations, focusing on energy production and undoing the CPP. 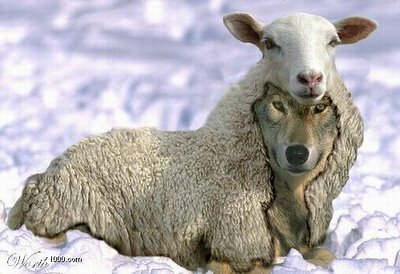 He has now installed former Oklahoma Attorney General Scott Pruitt to lead the Environmental Protection Agency, and is preparing a budget that is expected to slash the agency's finances and resources. Agelbert NOTE: It's going to flood again in Texas. So, you Texans that still have two neurons to rub together had better take precautions. Trumpers be warned: No Regulations means NO CLEANUP of oil and gas "industry" produced toxins in the water. AUSTIN — Scores of photographs taken by state emergency-management officials show that when floodwaters rise in Texas, they inundate oil wells and fracking sites, sweeping crude and noxious chemicals into rivers throughout the Lone Star State. Most recently, rainbow sheens and caramel plumes can be seen radiating from tipped tanks and flooded production pads during the March flood of the Sabine River, which forms much of the state’s boundary with Louisiana. Similar scenes are visible in photos from last year’s floods of the Trinity, Red, and Colorado rivers. 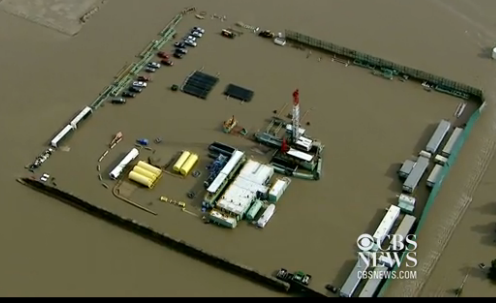 2013 photo of a flooded fracking site. The EPA will not require oil and gas producers to provide information on methane emissions at drilling sites, withdrawing a late Obama-era request that was meant to be a first step in a larger crackdown on methane emissions. The EPA withdrew the request a day after receiving a letter from 11 state attorneys general - including Scott Pruitt's successor in Oklahoma - alleging that the request amounted to "harassment" of fossil fuel companies and asking the EPA to withdraw the "unnecessary and onerous burden" on oil and gas producers. Methane regulations may come under friendly fire during the administration's budgetary bloodbath as well: a source tells Reuters that the EPA's budget plan currently includes a 70 percent budget reduction in a climate program intended to reduce "emissions of greenhouse gases like methane." The forecast this week calls for flurries of climate (in)action from the White House. Let’s run through the list of nightmares. Today, the EPA and DoT are expected to announce that they’re starting the process to revise fuel economy standards. 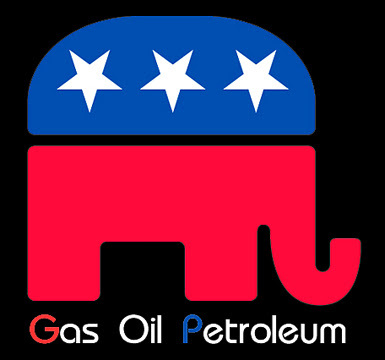 The rollbacks will be a gift to the auto and oil industries, while the American public will pick up the tab at the pump. There are also murmurs that Pruitt will also go after California’s right to create stricter fuel efficiency standards than the federal government--a remarkably hypocritical position for Scott “States’ Rights” Pruitt to take. Also expected this week is an executive order instructing the EPA to begin the long and intensive process of undoing the Clean Power Plan while also lifting the moratorium on coal leasing on public lands. This will be framed as energy independence or security, but we all know it’s just another piece of corporate welfare for Trump’s fossil fuel buddies. Speaking of which, here’s a scary sentence from E&E: “The Inhofe infantry continues to grow at U.S. EPA.” Apparently a number of alums from Inhofe’s staff have found positions within the EPA and across the Trump administration. Which is just lovely. In the meantime, there are still clouds on the horizon to worry about. One big storm cloud we’re watching: Trump’s proposed budget. While Congress’s budget will most likely be better than the bloodbath of Trump’s initial proposal, it will still be bad. It’s not surprising that the proposed cuts to the EPA’s scientific research would be so severe as to cause the department to “implode,” but Trump’s even going after bipartisan-supported efforts like the Energy Star program, turning it over to industry. Fortunately even GOP appropriators have said the money that pours from the EPA to states will make it difficult for Congress to cut the budget to the degree Trump is asking. And if the pork barrel rationale doesn’t save the budget, maybe the GOP majority will actually listen to their constituents? That might be a good idea: a new survey out of Yale shows there is widespread support for reducing carbon pollution and increasing our investment in renewables. Even 62% of Trump supporters think there should be taxes or regulations on carbon pollution. Unfortunately, not polled were the only voices Trump appears to listen to: the corporate overlords he will apparently do just about anything to appease. So while uncertainty rains in the Trump camp, one thing is certain: we’re bracing for a SHITSTORM.